As 2017 draws to a close, the time is now to make last minute moves aimed at reducing the amount you owe over the upcoming tax filing season. Particularly with some of the dramatic changes being proposed, it is important to act now to protect your assets and to prevent losing money through exemptions and deductions you failed to anticipate. Consider deferring income and bonuses until next year. Consider delaying payment of bonuses, self-employment earnings, and other types of income until next year to take advantage of lower tax rates. Prepay 2017 taxes to use itemized deductions. Deductions for state and local taxes and medical benefits are all on the chopping block under tax reform. Prepaying taxes may allow you to take advantage of these benefits before they are gone. Increase charitable giving: You may want to consider being more generous than usual in your charitable giving this year. 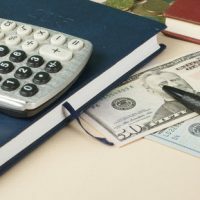 Proposed increases in the standard deduction amount will likely mean that fewer people will itemize deductions, such as charitable donations, in the years to come. Review estate planning. While using your annual $14,000 gift exclusion at the end of the year to distribute money among friends or family prior as a means of estate planning may still be a good idea, you want to consult with our estate planning attorney regarding how changes in the estate tax could impact you and your heirs. Use loss harvesting. This involves selling poorly performing investments, such as stocks and mutual funds, and using the losses to offset any taxable gains on more successful investments. Contribute the maximum amount to retirement accounts. 401(k) plans are likely to remain untouched by tax reform. A standard practice at year end is to increase your pre-tax contributions to these accounts, to ensure you have reached the maximum amount allowed. Double check the rules of your flexible spending account. If your employer offers pre-tax savings accounts for health care or child care, be aware that there may be a ‘use it or lose it’ rule. Check to see if any money saved can be rolled over into next year. To find out more about end-of-year asset protection strategies or to discuss the potential impacts of tax reform on your estate plan, call or contact Cavallo & Cavallo online. As your neighborhood law firm, you can trust our New York estate planning attorneys to protect your best interests. Request a consultation in the Bronx or New Rochelle office today.